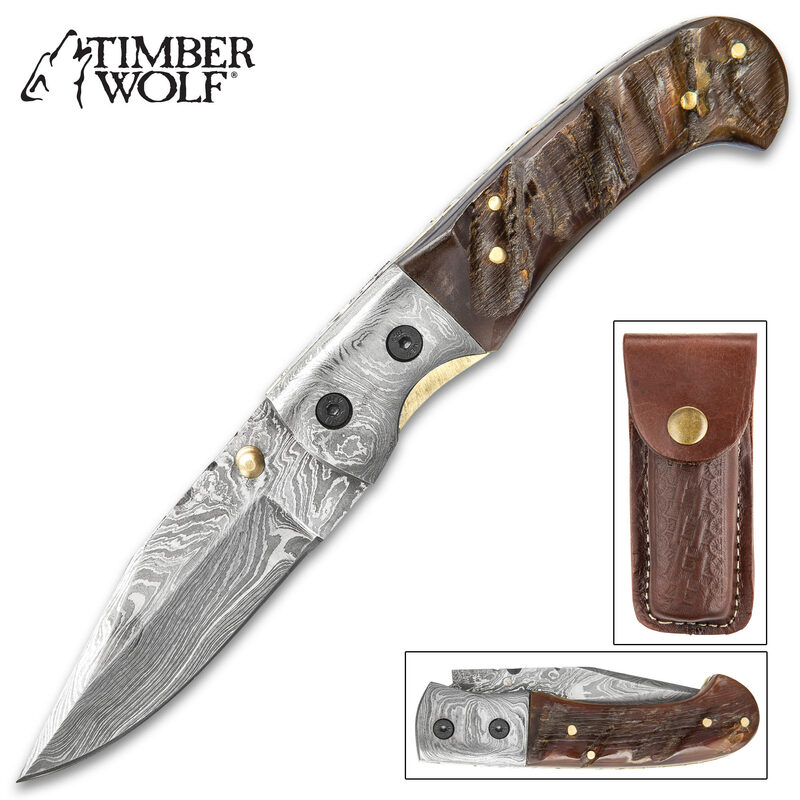 Timber Wolf Big Ram Pocket Knife With Belt Pouch - Damascus Steel Blade, Ram Horn Handle Scales, Fileworked Liners | BUDK.com - Knives & Swords At The Lowest Prices! 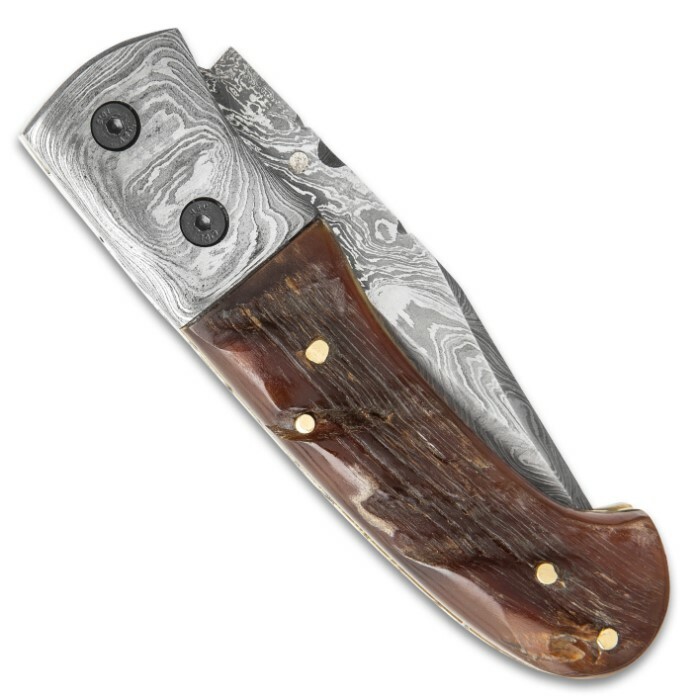 The Timber Wolf Big Ram Pocket Knife is a handsome looking piece with its dark, genuine ram horn handle contrasting with grey-toned Damascus steel. 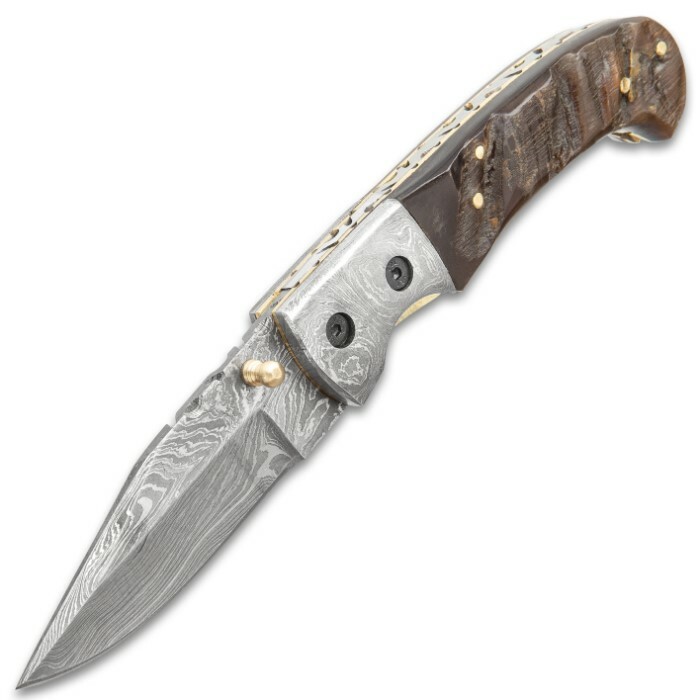 The knife has a sharp, 3 1/2” Damascus steel blade with filework on the spine and it can be accessed using the brass thumbstud. 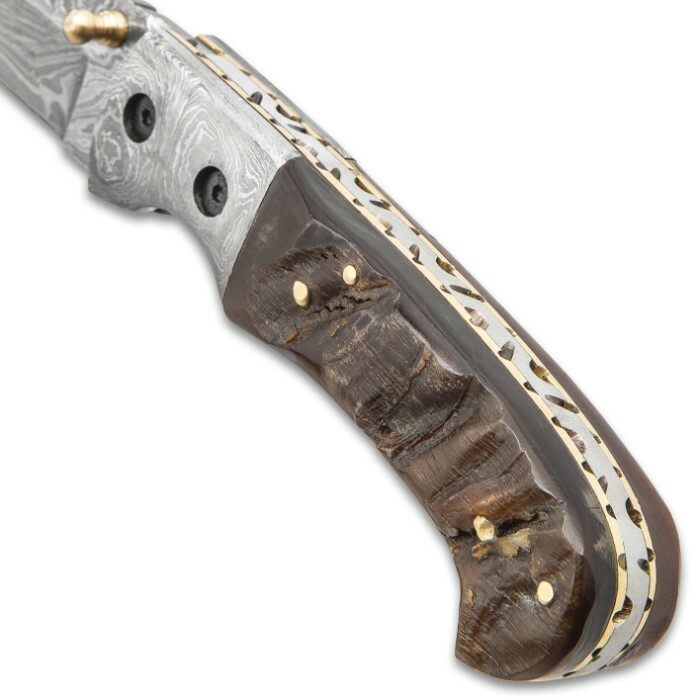 The handle scales are crafted of genuine ram horn, secured with brass pins and complemented by fileworked brass liners and Damascus steel bolsters. 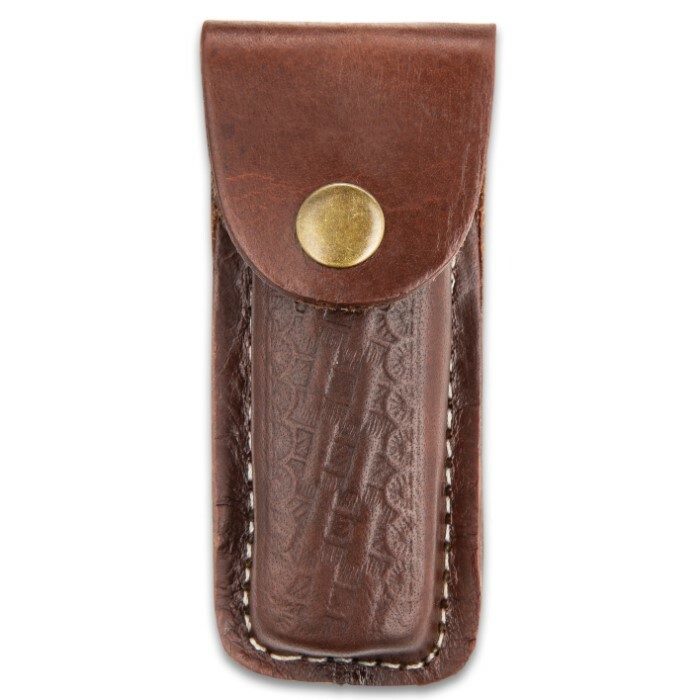 The pocket knife is 4”, when closed, and fits securely into a premium brown leather belt pouch with a snap closure.